Lactose is ordinary sugar content commonly present in milk and all dairy products. Lactase is an enzyme present in the small intestines, which break lactose into simple sugars to be wrapped up into the body. NIH (National Institute for Health) says, after infancy around 65% of the human population has a reduced capability to digest lactose. When there is an absence in lactase, undigested lactose in the intestines pulls in water and gets fermented by bacteria. This increase in fluid and gas in the bowels is what creates bloating and abdominal pain. Venkataeswara Hospitals are a leading Multispeciality Hospital, has a top best Gastroenterology Specialist in Chennai, in this article we are sharing one of the Gastroenterology problems known as Lactose Intolerance. Before that, follow these Ways to Stay Healthy and fit for this World Health Day 2018. As you grow higher, the lactase levels begin to turn down. Therefore, when you are getting older age the risk of lactase gets more and you need to increase lactose intolerance. Lactose malabsorption is generally due to the absence in lactase that starts in early childhood. It can also develop diseases that affect the lining of the small intestines and interfere with lactose digestion. It includes bacterial overgrowth, celiac disease, infection, or inflammatory bowel disease such as Crohn’s disease. 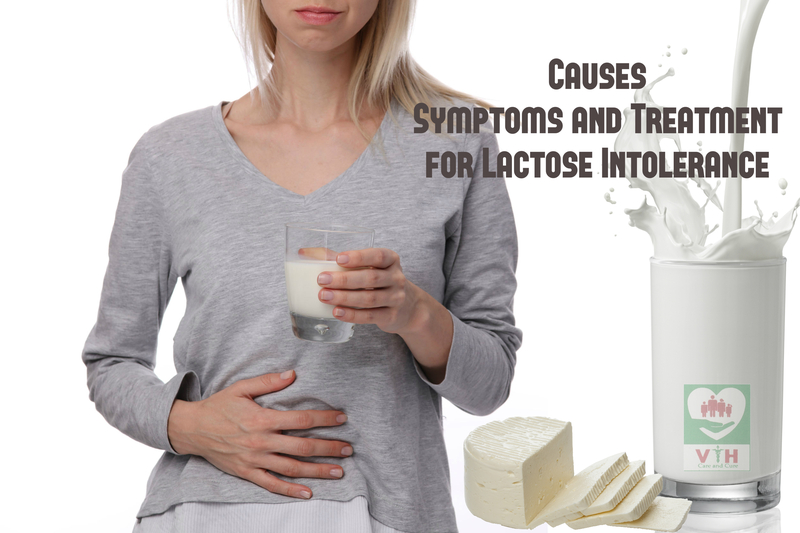 Identification of Lactose Intolerance usually made based on the symptoms after consuming dairy products. If you remove dairy products from your diet and then your symptoms will fall down, this can help to further confirm identification. To reduce these symptoms, reduce the milk intake to less than 8 ounces a day. Eating a small amount of lactose along with other foods, which slow down the digestive process? Ice cream, milkshakes and aged hard cheeses are usually better tolerated than milk. Dairy products offer a major source of calcium in the diet; it is significant to make sure you get an enough amount of calcium from other sources to keep healthy and strong bones. For an adult, the Gastroenterologist in Chennai recommended daily calcium intake is 1200 mg daily. Fresh broccoli, spinach, sardines, artichokes, shelled shrimp; orange juice and tofu are other non-dairy food has rich in calcium. If you think you may have lactose intolerance, you should consult your health adviser to get a full evaluation of your symptoms and discard other causes.